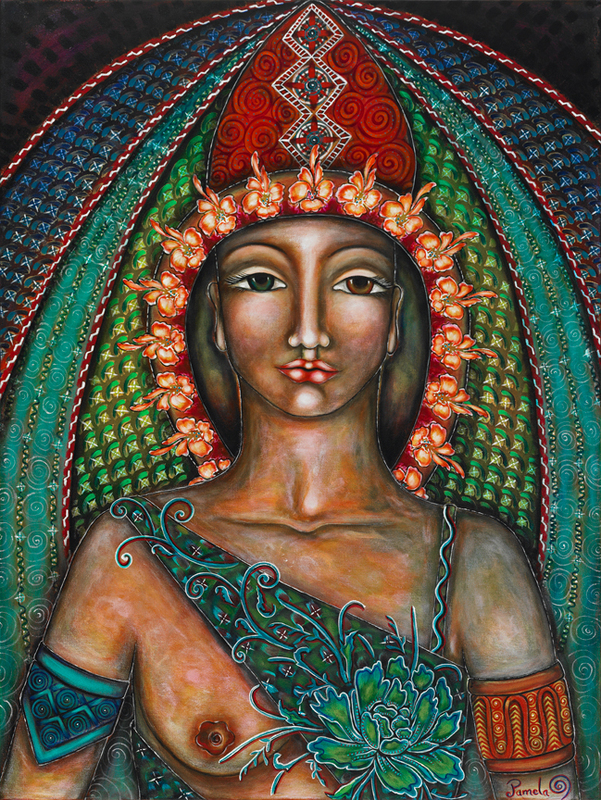 In an effort to make the beauty of intentional, channeled images accessible to people from all walks of life, Archetypal Musings offers limited edition fine art prints of Pamela G. Almeida's original artwork. However, once an image has reached print number 50, it will be discontinued. Please read below to learn about the process used for the production of the limited edition prints. Giclée printing is a fine art digital reproduction process that allows you to have a high quality canvas or paper print of any original artwork. Archetypal Musings works with a Los Angeles based printer to digitally capture in very high resolution the images of the original work and to reproduce all giclée prints with archival ink to ensure high quality and durability. Archetypal Musings giclée paper prints are reproduced in 100% cotton paper and available for purchase in the online marketplace.